As a part of our celebration of the Transformers Movie series hitting its tenth anniversary, and Transformers The Last Knight launching, we set out to complement our previous two articles with a list of the top five heroes and villains of the Transformers Movie franchise. Seems easy enough, right? Pick five awesome Autobots and the five coolest villains. In place of that planned article, we’ve written this piece recording my experiences trying to put together a list of the top characters, and what it means about the characterization of the Transformers in the live action movie series. As a part of the celebration of ten years of live action Transformers Movies we set out to make a list of the top five heroes and villains of the movie franchise. We quickly hit a problem. The movies have lots of characters, but once you get past the obvious choices like Optimus, Bumblebee, and Megatron, and the guys who had major scenes like Ironhide, Lockdown, and Sentinel Prime, what are you left with? The process started out easy enough. Make a list of all the robots. Delete the ones who were background elements (bye bye, Jolt), and the ones who were little more than extra guns on the battlefield (Arcee sisters, we barely knew ye). Then it got a little harder. Guys like Starscream or Soundwave were in multiple movies, and have important roles in their backstory, but they didn’t get to shine onscreen as their presence was limited (Soundwave was close to making the cut). 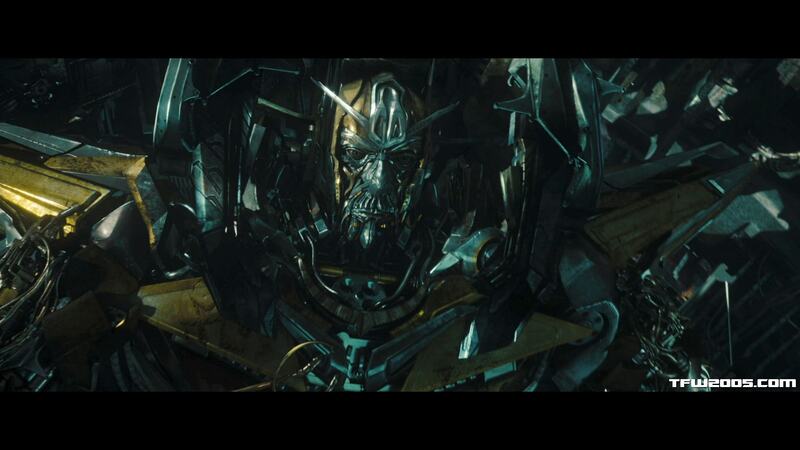 There were the likes of Devastator and Blackout, who got to be in memorable scenes (in Blackout’s case, one of the outright most memorable moments as well as pride of place as being the first robot on screen). Do they get to go on a top characters list, even though their impact outside of their scenes was quite limited? What about Brawl, who was in one of the best fight sequences in the first movie? Or Barricade, who had a good scene and then vanished, only to appear as an extra gun on the battlefield in Dark of the Moon. His strong showing in The Last Knight would be a factor today, though perhaps less so since in the end there was no reference to his past rivalry with Bumblebee or acknowledgement of his past role. You’ve probably noticed another issue we quickly hit with the whole process in that preceding writeup. The list, especially the Autobot side, was getting very heavily biased toward the original movie cast. In fact, we could have made four of the top five heroes the Autobots from 2007 (sorry Jazz). These guys are prominent in the later movies, too, but what about getting a more representative spread? How about someone from Revenge of the Fallen or Dark of the Moon? Well, we’ve got… The Wreckers? But they only showed up for a battle scene, and their only real characterisation was second-hand exposition. Sideswipe, he’s cool, right (and he was a front-runner, because, damn, he’s good)? How about Jetfire, who had personality and a stirring sacrifice, if little screentime or impact outside his scenes. Picking out the favourite heroes was hard, because so many of them were treated in a way that made them show up, do something cool, and then drop into the background. The ones who came out ahead were the ones who were in the first movie, which had some nice character moments for the characters, and also gave that cast three or four movies to be developed. Age of Extinction would have been easy to represent, as like the first movie there were little bits of character moments for the robots, and banter to give them personality. The newcomers there, Crosshairs and Hound in particular, were almost certainly going to be represented in the final list, with Hound being a serious contender, even if he is basically Movie Ironhide 2.0. The villains were easier to pick in a way that gave us a representative spread across the four released movies – except for a trend toward the big bads. That would have been understandable enough. After all, they generally get the most screentime, the most interesting abilities, and more flesh on their personalities and backstories. Sentinel Prime strides ahead in this regard. He’s got an interesting motivation, the main plot twist hinges on him, and he has perhaps the best characterization of anyone in the movie franchise. Plus, his backstory with Optimus Prime means he also develops the cast through his interactions with them. He’d easily have been our number one villain. But once you consider Sentinel, Lockdown, and the unkillable Megatron / Galvatron, who joins them on the villain list? We’ve mentioned Blackout’s prominence, but how about Laserbeak? He got lots of good moments, and some chilling ones, edging out his master Soundwave. Ultimately, the problem for the characters in the Transformers Movie is they’re sometimes forgotten as characters amid the special effects, the jaw-dropping battles, and the scenes fleshing out the human characters and the wider conflict. When slower scenes with the Transformers involved as characters are shown, we sometimes get character moments fleshing them out. 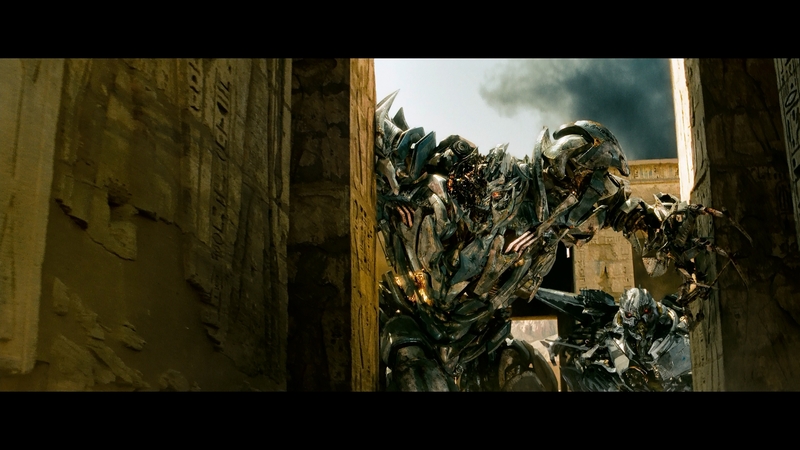 Age of Extinction did well here, and its robots felt like characters as a result. Contrast if you will, from the same movie, the Dinobots. They said nothing, and suffered for it as a result (though they had moments, like Slug struggling in the tractor beam, which helped make them more interesting). That is to say nothing of the subtle character moments that are never acknowledged on screen. How about in Dark of the Moon, when Optimus threw away Sentinel Prime’s rifle at the end. Was it disgust from executing someone who a few days before was a beloved mentor? What toll did this take on him, and did it lead to the darker turn he’s followed in the movies since? We’ll never know, since this has never been discussed in the official media, and so is limited to fan theory. In the end, this is how the Transformers movie series has enormous potential, and substantial room to grow and become something more awesome. The movies do not lack character, but there is space for more moments where the character banter, and play off each other. There is potential, through a couple of short scenes, to show how Optimus Prime is weary, how watching friends die has placed an enormous toll on him, or how Drift’s origins (from the toy packaging, assuming that’s canon to the films) mean he still feels out of place alongside Bumblebee. Ultimately, we recognize the Transformers movies are 2 ½ hours, and have to tell a complete story in that time, so we’re never going to see Beast Wars or More than Meets the Eye levels of development, where the cartoons and comics have had dozens of episodes or issues to really get into characters. But how nice would it be if we could get to see a bit more of what drives characters beyond them showing up, doing something cool, then saying, “man, I’m cool”? Age of Extinction and The Last Knight have been improvements here, but there are still plenty of cases where characters lack detailed characterization. Here’s hoping that the Bumblebee movie also marks a trend of more character focused movies, and that we get that Optimus Prime spotlight movie to get into the Autobot leader’s head and flesh his thoughts and motives out a bit more.